Currently the world produces more food than it can consume, but in most cities, there are people who go hungry. Dickson Despomier, author of The Vertical Farm, Feeding the World in the 21st Century, suggests that by 2060 three billion people could face starvation. Industrialized farming, while producing the greatest quantity of food that the world has ever known, brings problems-deforestation, chemical fertilizers, chemical pesticides, excess food waste, water waste, and food transportation carbon emissions. Currently in the United States, 50% of yearly yields are unusable for consumption due to pests and climate crop loss. Importing and exporting food moves brings and sends food long distances consuming unnecessary energy. According to the Sustainable Farming quarterly of REAP-Canada, fresh produce travels an average of 1500 miles before reaching consumers. Currently 70% of water is used for industrialized farming resulting in pesticide contaminated runoff. With hydroponics and aquaponics farming eliminate most pesticides and herbicides. In vertical farming, inside climate conditions are controlled ensuring best growth results year round. Vertical farming can begin in your home, move outdoors, onto living walls, and eventually into towers of vertical agriculture in cities providing food for for thousands. The simplest form of vertical farming starts in a window in your own home or classroom! You must look carefully at your windows to find those windows that face south and have at least 4-6 hours a day of sunshine. Take note of the humidity or dryness on the interiors in the room with the window as this may affect the type of plants you grow or how much you will need to mist or water them. You may be lucky to have a wide window sill that can support a tray of plants. Research and select fast growing greens like lettuce, sprouts, and arugula. Purchase your seeds at a garden store or online and draw up your window farm to build. You can actually stack plants two or three levels high and make a mini vertical farm. You can find patterns online at our.windowfarms.org and www.windowfarms.com. Make a drawing of a window box farm. Now that you have planted food in windows and in your classroom, it is time to grow outside on your back yard fence and at the school yard. Similar to window gardens a garden pouch is an easy to install vertical garden. Pouches are modular construction or garden containers (like recycle liter bottles)that can be installed both inside and/or outside. 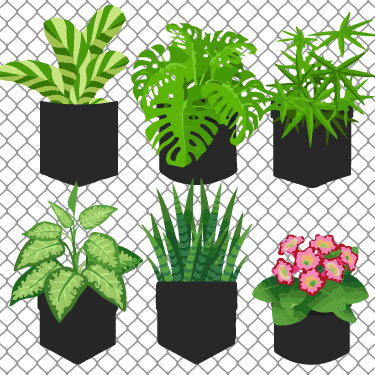 One you have selected your growing medium (potting soil or hemp coconut grass are common), vertical plant pockets can be sewn and buttoned or tied to chain link and other kinds of south facing fences. You can start your fast growing seeds in your window farm, and then when danger of frost is past, thin the young plants and replant outside. You can grow a variety of herbs, fresh greens, and even vegetables. Garden pouches bring fresh food right into your home and school! 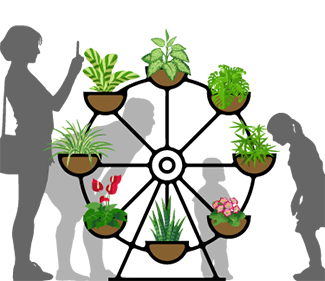 Draw a picture of an indoor or outside vertical felt pocket or hanging bottle garden. Vertical farming is a growing concept and architects and engineers and community groups are coming together to try new approaches to growing local food. 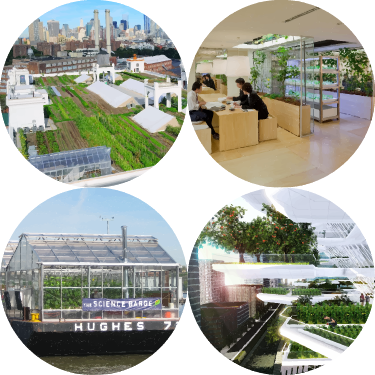 Research Vertical Farming and collect Case Studies of people and places that are attempting to change the farming system by local production. Think about the ability to grow food 24 hours a day 365 days a year. Consider removing plant production from droughts, floods, and difficult climates. Diagram how vertical farming reuses the water collected from the indoor environment and note that it eliminates the reliance on pesticides, fertilizers and herbicides. Note that it reduces reliance on long distance food transportation. Vertical farming also provides jobs for local residents. Make a poster about vertical farming and its benefits. Be a vertical farmer advocate! 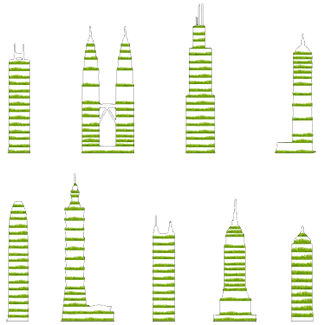 Now that you have researched different types of vertical farms, it is your turn to design a vertical farm area for your city. Where will you place it? How will it be structured? 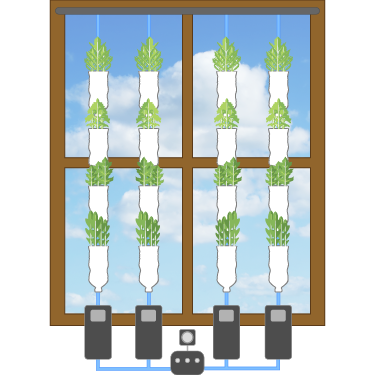 Diagram vertical farming reusing water collected from the indoor environment and note that it eliminates the reliance on pesticides, fertilizers, and herbicides. Design greenhouses of vertical greens and draw and make a model. Share it with your classmates so that the idea of vertical farming will grow! Activity 5 – Grow Tall! A Vertical Farm Skyscraper! Take a look at the Structural Systems and Skyscrapers journeys. Now it is time to grow tall! Take what you have learned about vertical or stacked farming, and imagine towers in your city for growing food. In each tower imagine floors for food harvesting, cleaning, packaging, and distribution. Perhaps make a grocery store on the first two floors with a farmer’s market in the parking lot. Improve your city’s food security. Envision vertical farming! With the right tools and materials, anyone can start their own vertical farm. Benefits of vertical farming include water conservation, less dependency on chemical fertilizers and pesticides, and employment opportunities. Garden pouches and recycled bottle containers can be used to create living walls. Most Food plants need at least 8-10 hours of sunshine a day.